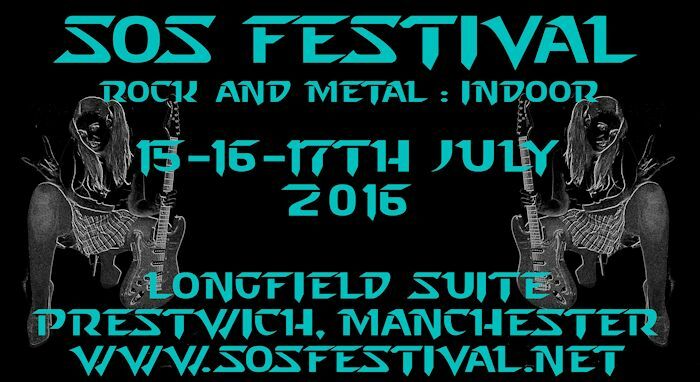 Following the recent news that Radcliffe Civic, the venue for all 8 previous SOS Festivals, is under threat of closure, we have of course been reviewing the situation closely. In the light of this, the decision has been taken to relocate the festival with effect from 2016 to an alternative venue which is the Longfield Suite, Prestwich, Manchester. Organiser Mark Appleton explains.... "Having talked & corresponded with the local council I'm as satisfied as I can be that the closure of Radcliffe Civic will go ahead in April as recently suggested. For me it was a clear & necessary decision to immediately secure the future of our event by relocating & the Longfield represents a brilliant choice. Although we loved working from the previous venue, the Longfield in fact affords us various advantages with Prestwich tram station directly opposite, less than one mile to the motorway network & a Premier Inn within easy walking distance, as well as continuing benefits such as ample free parking. Also, those who sweated out the heatwave with us during the 2014 event at Radcliffe will understand our joy in discovering that our new venue has air-conditioning!" All tickets already bought for 2016 remain valid & the new venue is also looking into some excellent drinks promos for us to offer our audience next year. We're also delighted to announce that whilst our previous venue is to be demolished to make way for affordable housing, we are in fact continuing our policy of an affordable festival & so our prices are held for a 7th year in a row at £10 per day for Saturday or Sunday & £15 for a weekend ticket. Friday night also remains at £5. Tickets are on-sale now.